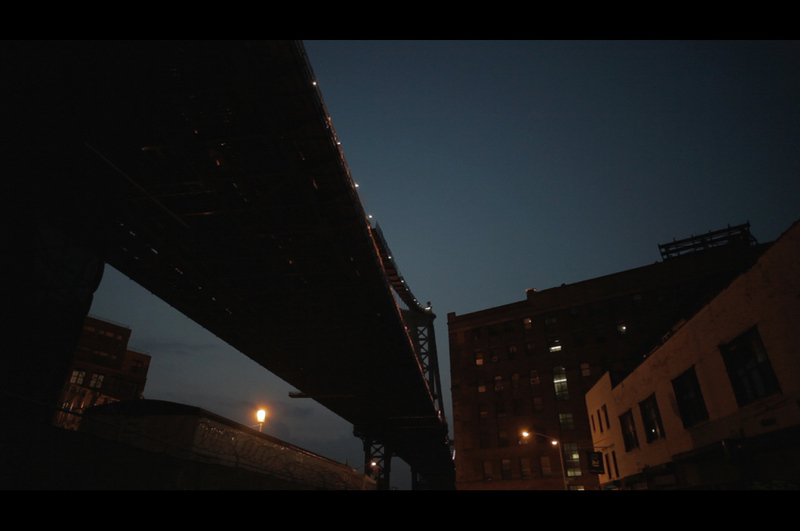 On June 21st 2011, Nick Franglen played the theremin under the Manhattan Bridge for 24 hours, starting and ending at midnight. Soundbeam sensors on the bridge above him registered the passing of each cyclist, creating a moment of silence for everyone who crossed the bridge throughout the day. Make Music New York, the NYC DOT Departments of Bridges and Urban Art and the Dumbo Business Improvement District.